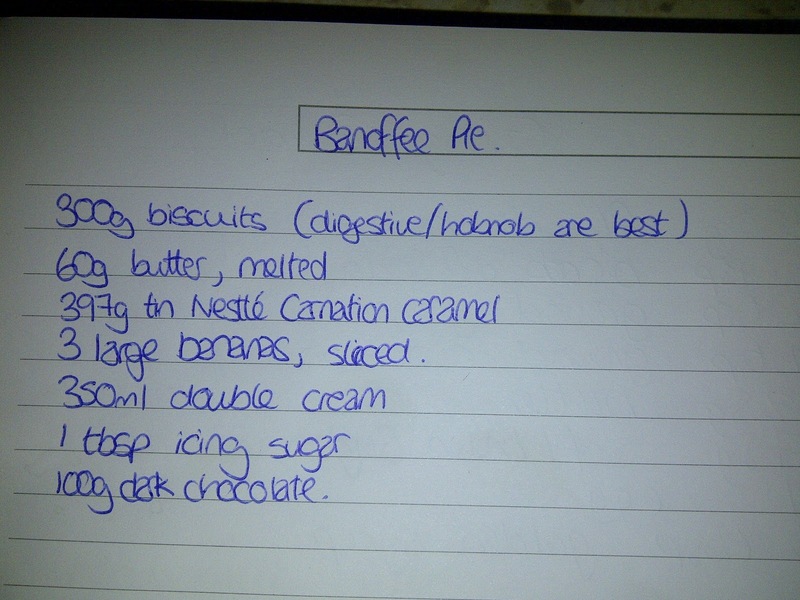 Nikki 26th May 2012 7th July 2015 No Comments on Banoffee Pie! Now I managed to misread the recipe, and only had condensed milk instead of caramel, and I couldn’t seem to find the recipe I used previously, which used condensed milk… Typical. But I’ll get to how I tried to overcome that. 2. Crush the biscuits, combine with the melted butter and press into a tart tin. 3. Bake for 10-12 minutes, the leave to cool. Now here’s where I had to improvise a little. 4. 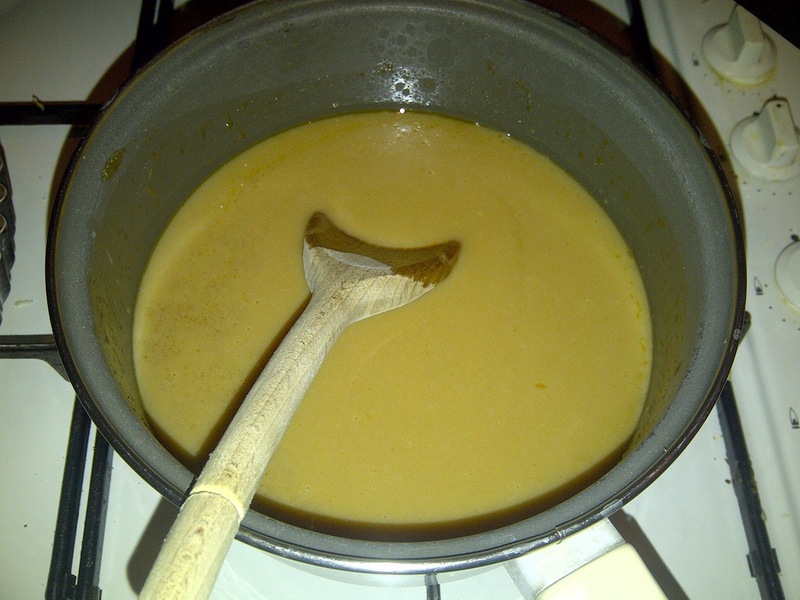 Simply pour the caramel over the cool base and refrigerate for approx 1 hour. 4. Put the condensed milk into a pan, and heat on a low/medium heat. Stir very frequently. Then pour the caramel over the base a chill. 5. Put the sliced banana on top of the chilled caramel. 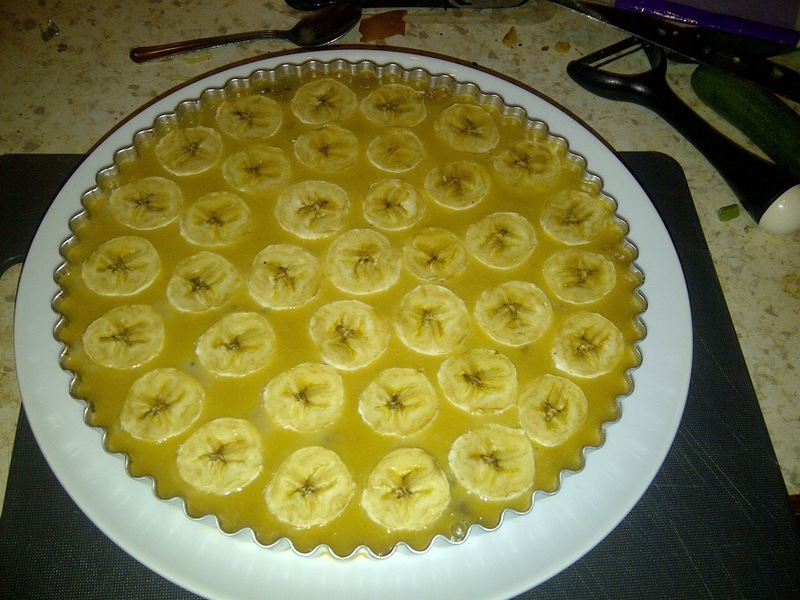 Voila a banoffee pie! Enjoy! You can whip the cream til it holds peaks in it, and then spread this over the top of the pie. 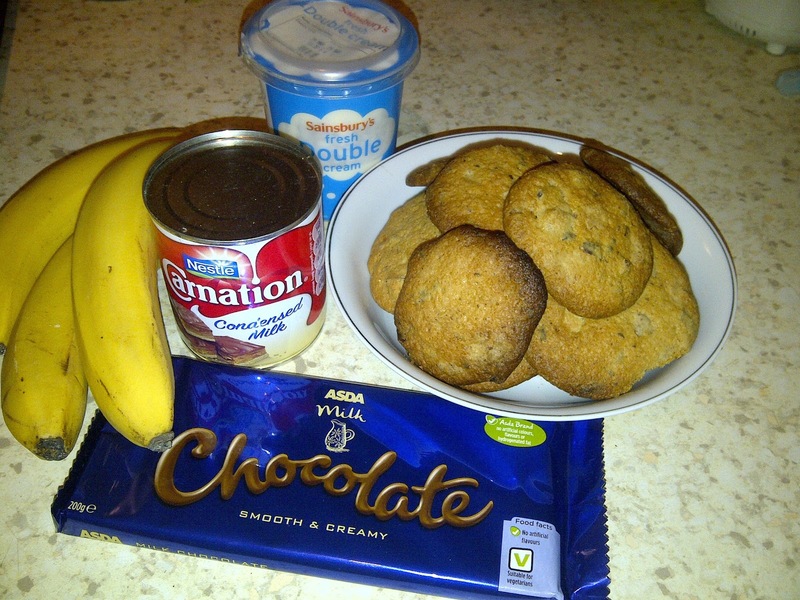 Melt the dark chocolate in a bowl (microwave or over hot water) and drizzle over the top of the pie/ cream. I have to say after my pie not being a total success I didn’t really want to add the cream on top. Maybe next time. Because my caramel was too runny, I recooked my pie, by putting it in the oven at (180C) for another 10 minutes or so. It didn’t do the banana much good, but it solidified the caramel thankfully, and the pie still tasted good! Well not everything can go perfectly all the time, atleast I salvaged it.